Sena Hidaka was born in Hyogo, Japan. Following her training at the Vaganova Ballet Academy in St. Petersburg, Russia from 2008 to 2011, Sena joined the Bucharest National Opera, where she rose to the rank of Principal by 2014. She joined Tulsa Ballet in 2016. 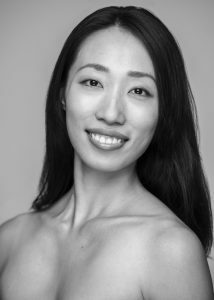 Sena’s repertoire includes leading roles in Don Quixote (Holmes), The Sleeping Beauty, Swan Lake (Angelini), Giselle, La Sylphide, Le Corsaire, La Bayadere, La Fille mal gardée (Ashton), Concerto DSCH (Ratmansky), The Nutcracker (Angelini), A Million Kisses to My Skin (Dawson), Cinderella (Stevenson), and Glass Figures (Ma Cong).